Complete one of our flagship courses, or four eligible short courses, to obtain Executive Education Alumni status. A heightened awareness of the challenges facing today’s CEO. An understanding of your business’s competitive context, and the ability to plan strategically and create a more resilient future. Capabilities to challenge existing industry assumptions and your organisation’s business model. The ability to cope with ambiguity and uncertainty – and reduce complexity – while exploring new opportunities for growth. Increased confidence in your ability to lead teams and your organisation, and effectively manage your board and stakeholder relationships. Improved health and a manageable work-life balance, gained through our wellness programme. Fast-track your understanding, insight and leadership capabilities and make the personal and professional transition to effective and empowering business leader. Improved leadership skills through greater self-awareness, sophisticated influencing skills and understanding your impact on others. 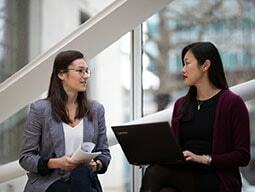 Unparalleled business connections that can offer guidance, expand your global perspectives and widen your sphere of contacts. Improved teamwork and performance within your organisation. The ability to harness the power and value of diverse groups – in your organisation and beyond. Increased confidence to deal more effectively with other senior leaders across different business functions. Improved strategic management and decision-making through an enhanced understanding of how your business generates value, so you can contribute more fully to complex discussions about the organisation's future. Assess and enhance your well-being through our holistic well-being programme. Access flexible and tailored learning, giving you the skills and insight to take your career to the next level. 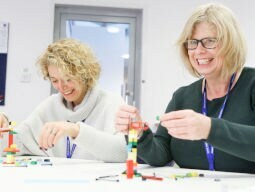 Our world-leading Certificate programmes enable you to create a comprehensive curriculum tailored to you, with a flexible schedule and pace. Equip yourself with in-depth skills and expertise in Management or Finance, with four short courses completed within 24 months. 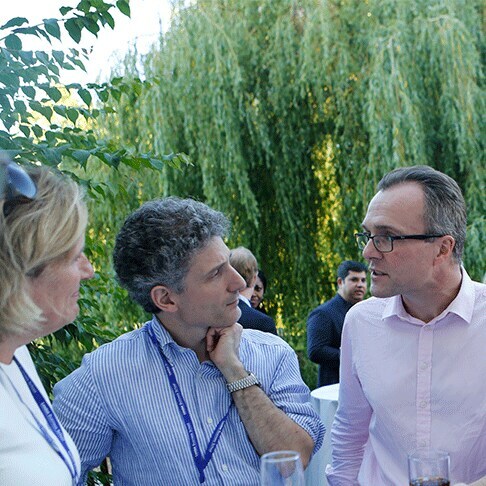 Join the London Business School (LBS) Executive Education Alumni network to take your place in a 17,000-strong community spanning 150 countries. Access world-class faculty, lifelong learning opportunities and a global network of leaders. LBS Webinar Series: Get cutting-edge insights from leading business thinkers wherever you are in the world. Exclusive events: Guest speakers with years of business experience share their stories and insights. Monthly newsletter: Must-reads from our faculty and industry experts, straight to your inbox. 25% discount: Choose from our extensive portfolio of world-class open programmes for executives, and get a 25% fee discount. Executive coaching: Engage one-to-one with handpicked, quality-assured LBS executive coaches. LBSR podcast: Get analysis on the latest business topics and trends. 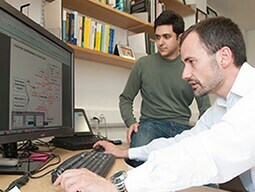 LBS YouTube: The latest research, analysis and faculty videos from our events. 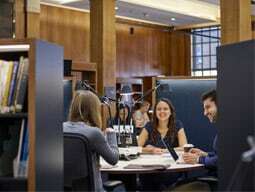 LBS Hub: Your online platform for alumni clubs, events, the alumni directory and digital library. 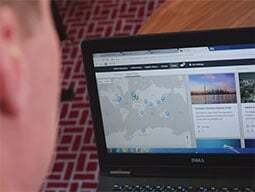 94 international alumni clubs: Expand your network and connect with alumni near you. 20 professional interest clubs: Build ties and connections, and share industry expertise across diverse sectors. Support with class reunions: Maintain relationships with your alumni classmates for lifelong business support. LinkedIn: Join our exclusive Executive Education LinkedIn group for regular LBS updates. Alumni profile: Update your profile to make connecting easier and to help us stay in touch. Recommend a programme: Share the LBS experience with your colleagues and friends. Interest in Alumni Champion role Represent your cohort and ensure you remain engaged with our global network. Host a class reunion: Bring your colleagues and friends together to maintain strong ties. Update your profile: Help alumni and the School connect with you. Join your local club: Connect with an international network right on your doorstep, and support their events. Give to the School: Invest in our future and help us to continue attracting the best talent. 25% discount: when choosing from our portfolio of open enrolment programmes. Executive coaching: Get one-to-one support from handpicked, quality-assured executive coaches. Preferential hotel rates near campus: Download our list of 2019 hotel discounts. London campus bedrooms: Contact bedrooms@london.edu and let them know your alumni status. 10% discount: in our on-campus shop. "It gave me the confidence to move forward and move up the ranks." Connect with your peers through our global clubs network and alumni directory. Access the latest events and thought leadership with LBS Hub, our new interactive alumni platform. Stay connected to the ideas, events, updates and network that matter. How do I obtain a copy of my certificate of attendance? Email pabookings@london.edu to get a copy of your original certificate from your programme(s), or a letter of verification. Please include your full name, the programme name and the year you studied. 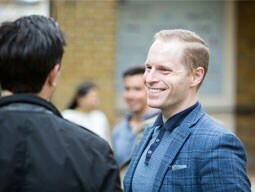 Can LBS help me organise a class reunion? How do I activate my LBS Hub account? If you’ve received an activation email from us, visit our Getting Started page for more information on activating your account. If you haven’t received an activation email, contact our alumni relations team to request one. What can I do on LBS Hub? 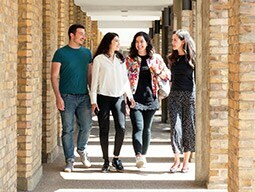 You can join alumni clubs and learn about their networking events, view alumni-exclusive content in our digital library, hear about LBS-hosted events, access the 44,000-strong LBS alumni directory, and keep your alumni record up to date. View our Top Tips for LBS Hub video to learn more. Where can I find out more about LBS Hub? Take a look at our LBS Hub FAQs for more information on how to activate your account and get the most out of the hub. How can I join the Executive Education Alumni community? You need to complete our Senior Executive Programme, Accelerated Development Programme, Certificate in Finance or Certificate in Management to gain Executive Education Alumni status. Alternatively, complete four eligible open enrolment programmes from our extensive portfolio.